It's the 1st of February so that means it's time for a new challenge at Scrap It Girl! The challenge this month is to use the color blue and arrows. This was such a fun layout to create. There's stamping, paste and even some scraps! 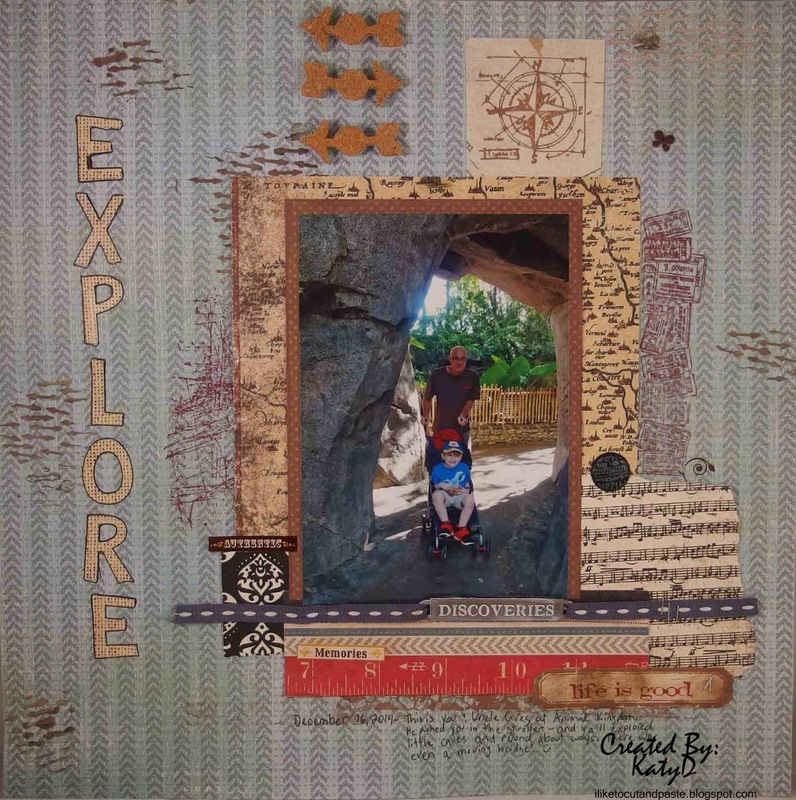 There's some Tim Holtz, K&Company, and 7 Gypsies to name a few. I bought a new metal stencil for this layout. I used some T.H. walnut stain to mix with the light modeling paste-but that made the paste a little watery. So you can see where some of the arrows bleed a little bit. But I thought it added character. And then the cork arrows are from Fancy Pants. Be sure to stop by Scrap It Girl to see the rest of the DT's projects-they are so inspiring! While you are there check out the fantastic prize! Fantastic page! Love the rustic, outdoorsy look!! And what you did with the arrows is so neat!!! This is gorgeous! LOVING the colors and the arrows!!!! awesome layout.. love those cool arrows..
What a fun picture that is - fabulous layout! Thanks for joining my blog - I have a little greeting for you - hop on over, if you have time.... Happy Valentine's Day to you!